I created a series of posters called “Pangram Pattern Poster Project” which are available at the Cooper Hewitt Design Museum Shop in conjunction with the museum’s “How Posters Work” exhibition. They are also available to purchase online via shop.cooperhewitt.org. 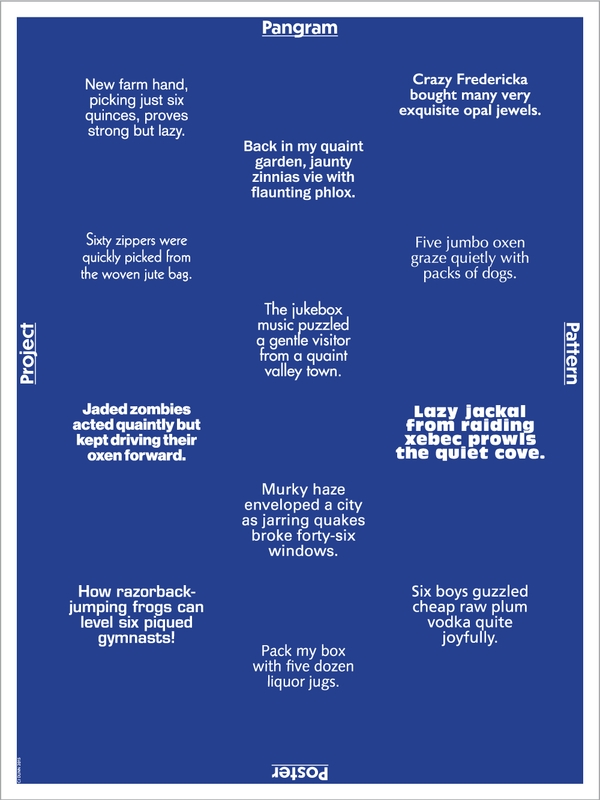 The “Pangram Pattern Poster Project” by CJ Dunn illustrates a sampling of “pangrams” used for proofing typefaces throughout the design process. 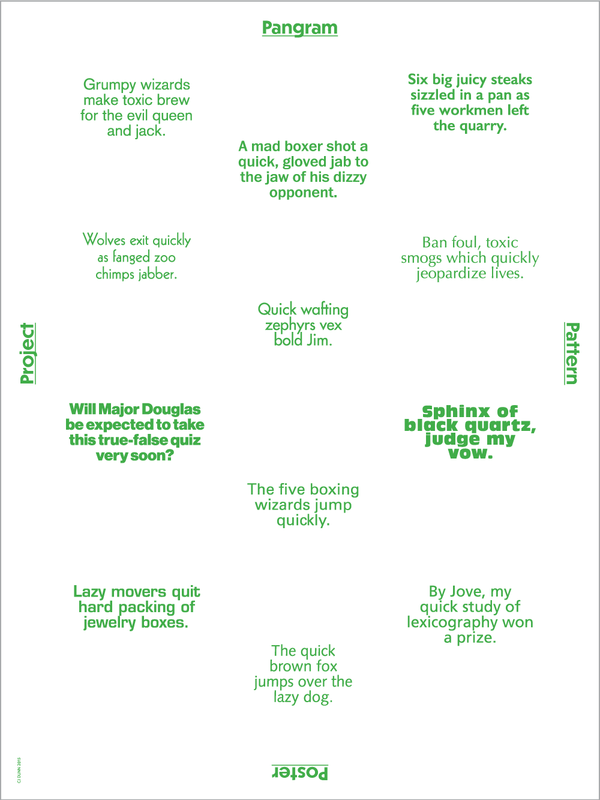 These hilarious phrases, although seemingly obscure and abstract, are a common sight for designers. Typographer, CJ Dunn has created a DaDa-esque poetry and visual pattern from some of his favorite pangrams, set in a chronological sampling of iconic sans serif typefaces.